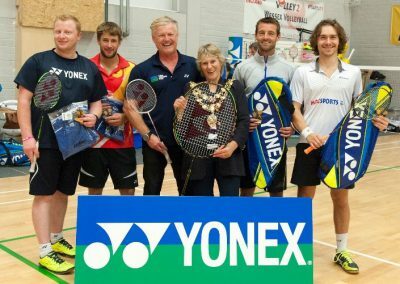 Dorset Junior Silver/Gold Squad Assistant Coach, Former Dorset Junior Head Coach (30+ years), Bournemouth School for Boys Badminton Coach. 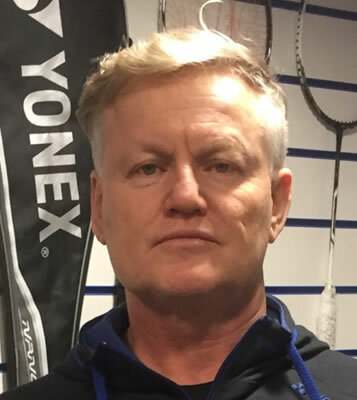 Mark Lever has been a full time coach for over 30 years now. 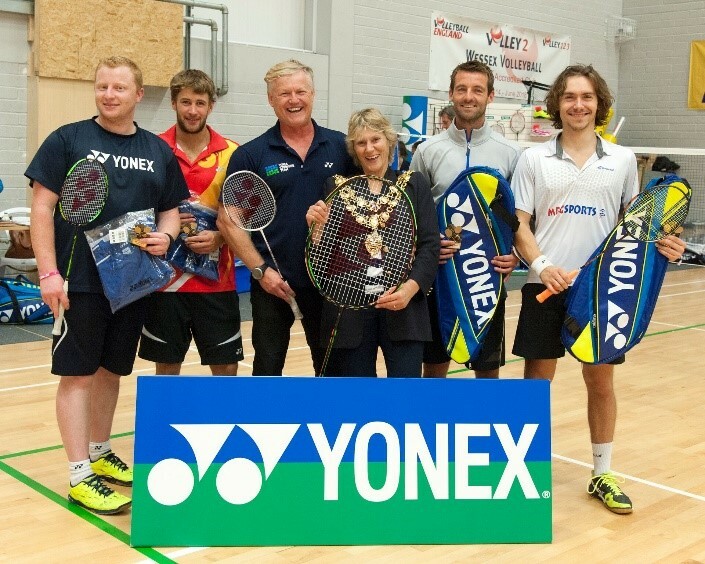 Starting out at Poole Sports Centre coaching and taking evening groups he has expanded beyond belief since that time. He has coached in schools all over Dorset and an expert in BISI Festivals. 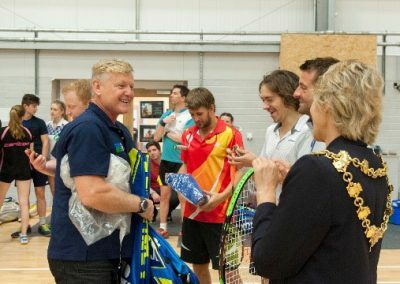 In addition he introduced the Gold, Silver and Bronze junior performance groups which have helped produce some of our best ever players. 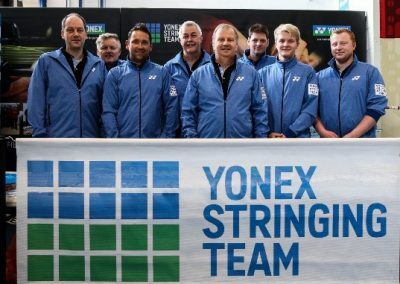 He has been a staunch Yonex agent for many years and is one of the Yonex Stringing Team at the All England each year. 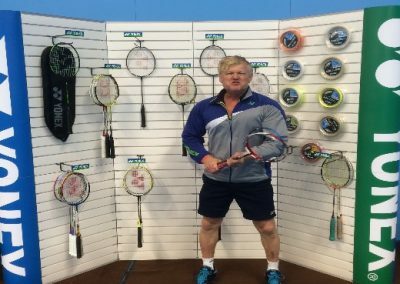 Since he started a restringing service locally he has probably strung over 5000 rackets and used 10 miles of gut. 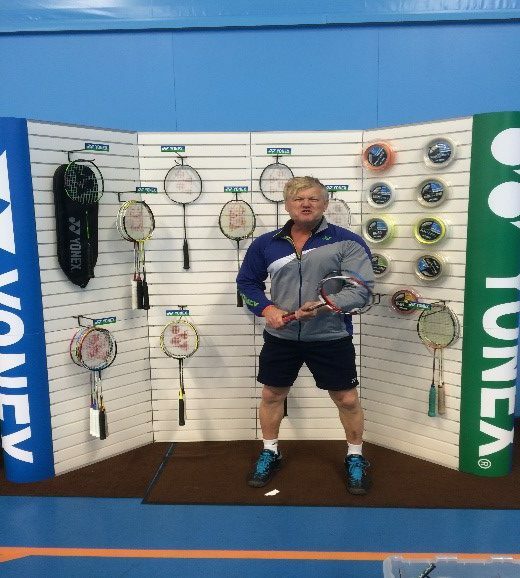 He has his own outlet at Broadstone Sports Centre for those wanting rackets, shoes, kit etc. 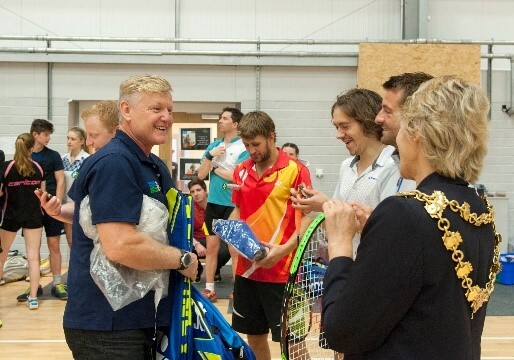 Using his Yonex connections he has supplied Dorset badminton with thousands of shuttles at no profit to himself, and in turn we have been able to supply clubs at cost. On the coaching side he is one of the few coaches who can command a presence sufficient to take a whole age group of 30/40 children on a Sunday morning every 2 hours. His preparation and coaching plans are legendary, as are his blip tests. He has the skills to take children at an early age and this is where we think he excels. He puts the “fun” into coaching which is so important.